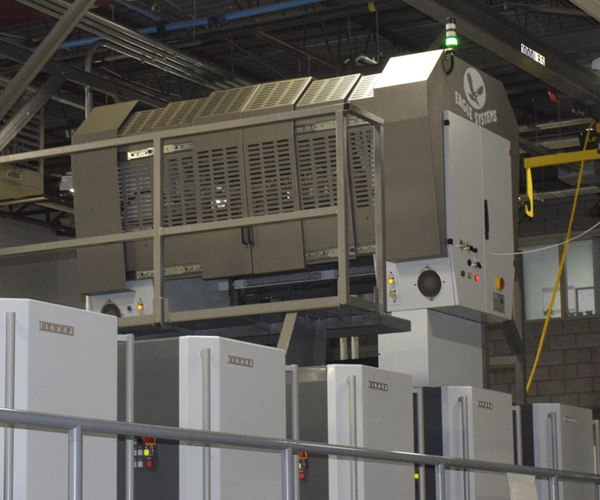 The Eagle Systems® Eco-Flow brand is the most cost effective and automatic system available from any manufacturer and has been adopted by the worlds leading lithographic printing press manufacturers. 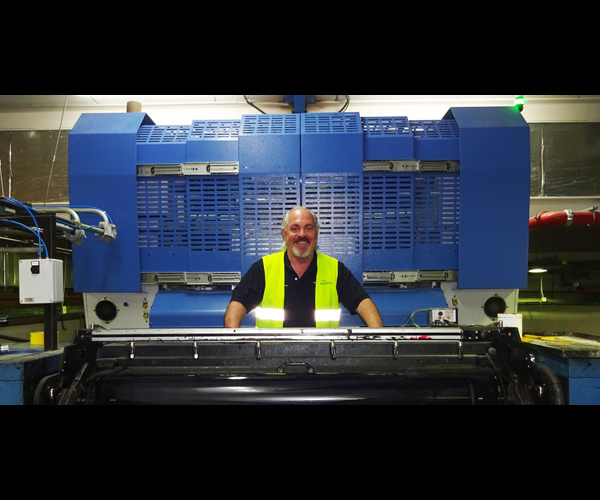 Almost all types of lithographic printing press can be adapted to cold foil application and realise the stunning effects achievable by overprinting on simple silver foil. 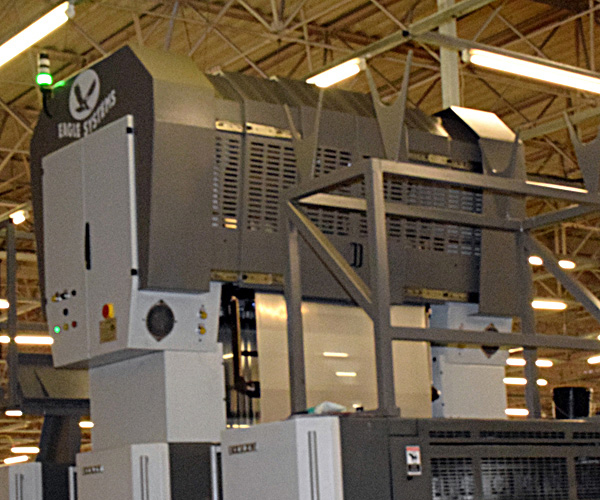 The module can be easily retrofitted to almost any existing offset press without altering nor interfering in the functions or electronics of the press. 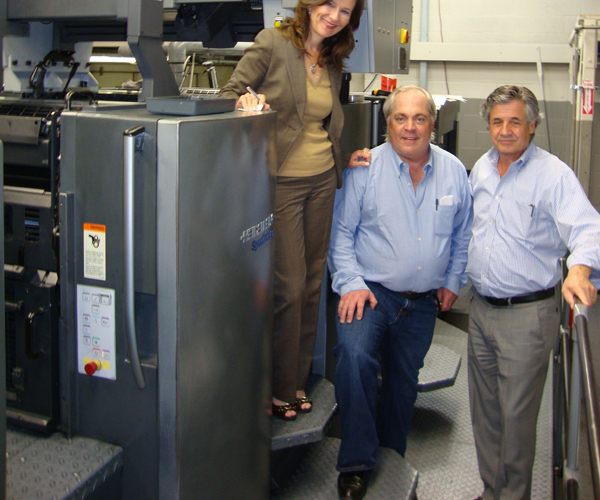 Switching from normal print to inline Cold Foiling plus print is as easy as changing one plate on the press. 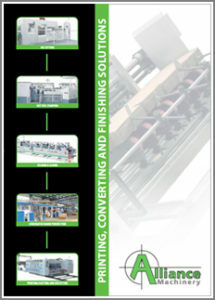 All of the above translates to Ease of operation, Trouble free running, Higher margins and Quick payouts! 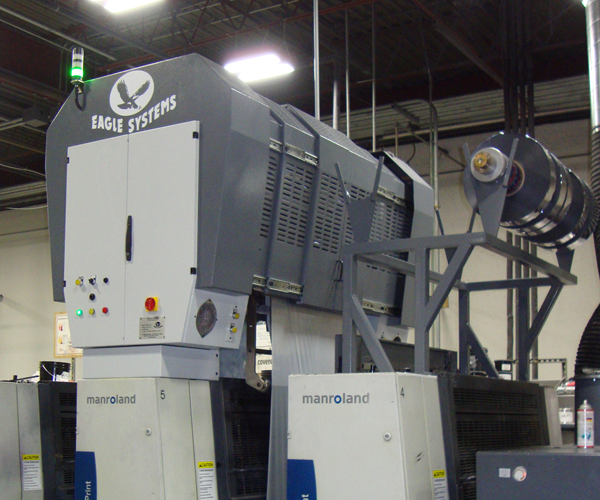 The Cold Foil application consist of applying a metallic layer on your printed substrate. • STEP 1: Apply an adhesive to the substrate. 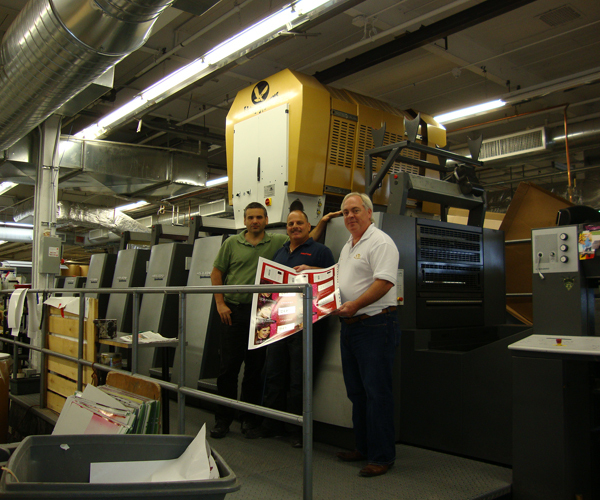 This application can be done in register and according to a printing pattern using one of the printing units in the printing press. 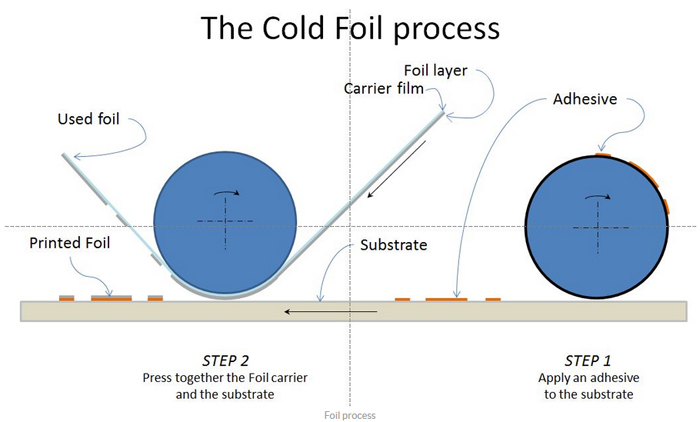 • STEP 2: Press together the Foil carrier and the substrate (with the printed adhesive). The Foil will be released from the carrier onto the substrate wherever the adhesive was printed. 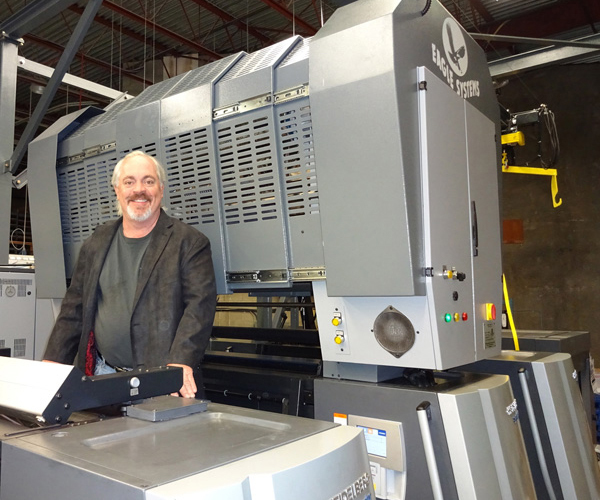 In a sheetfed offset press, we use 2 printing towers to perform the cold foiling. 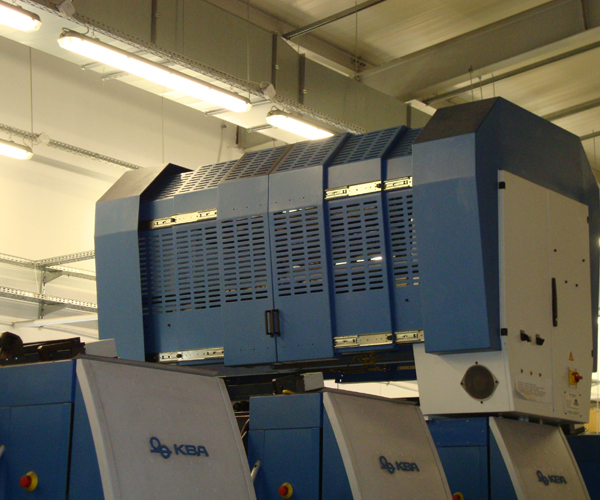 One printing tower is used to apply the adhesive, it is just printed as a normal offset ink. 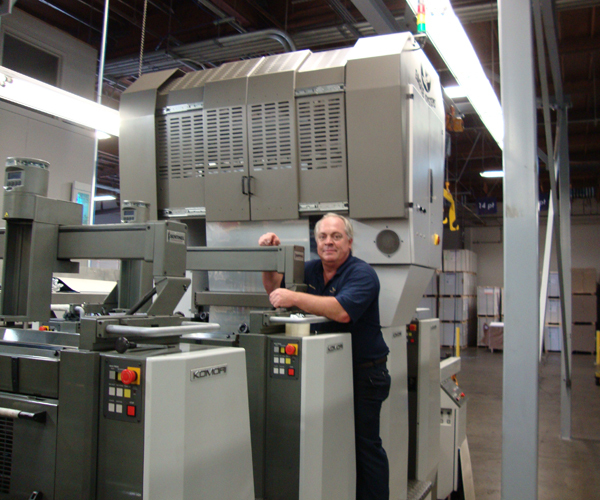 The second printing tower is used to press the substrate and the foil carrier together. 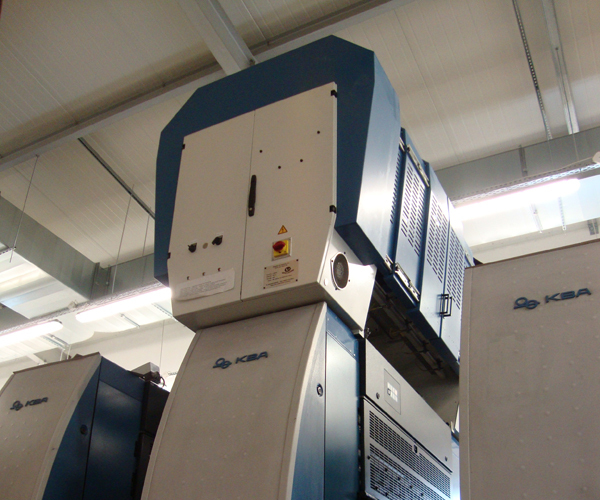 It is also very easy to switch from foiling to normal printing, you therefore keep all the flexibility of your press.